Home News BIGBANG Have Brought 10 Million Fans From Touring, A Record From Legends! 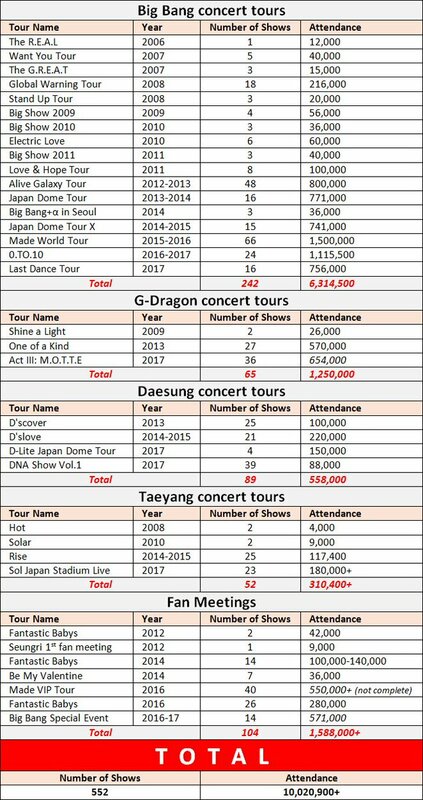 BIGBANG Have Brought 10 Million Fans From Touring, A Record From Legends! On their legendary career, BIGBANG have brought over 10 million people from their concerts and tours! Unpredictable achievement from a Korean artist, it’s a number only legends like The Rolling Stones, U2, Madonna and Bon Jovi are able to do! It’s what we really call, living legends!